Toby, 2016. 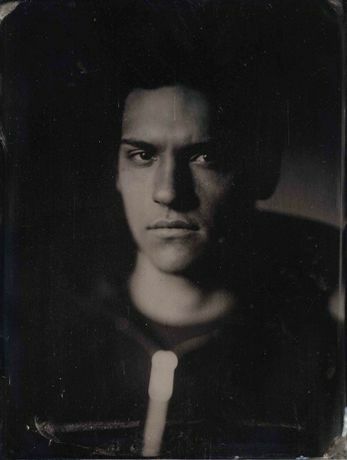 Tintype by Sean Hawkey. A curator-led guided tour of Capturing on Collodion with special behind the scenes stories of how the exhibition came together. A free curator-led guided tour of our exhibition Capturing on Collodion. Join us for special behind the scenes stories of how the exhibition came together. Capturing on Collodion showcases tintype photographic portraits made by photojournalist Sean Hawkey. Created with a Victorian camera lens and the collodion wet plate process, the contemporary portraits possess an ethereal quality. The exhibition also features historic images by photographic pioneer Thomas Sims from Tunbridge Wells Museum & Art Gallery's collection.